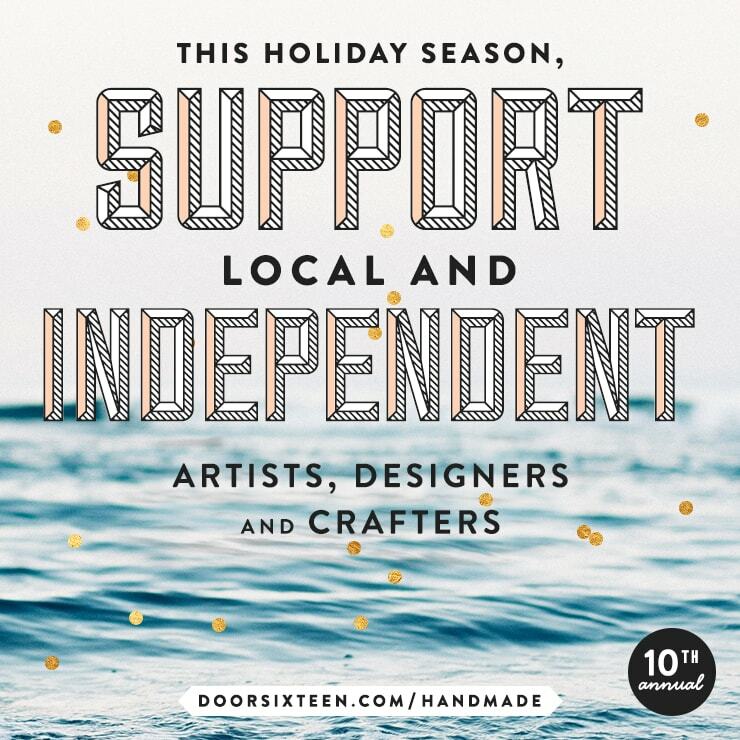 For the 10th year running, I have made a personal commitment to buy gifts for my friends and family from local and independent artists, designers and crafters this holiday season. As I have done in previous years, I’d like to invite independent hand-makers to post links to their shops in the comments. Please refer to the guidelines below before sharing your link. Thank you! 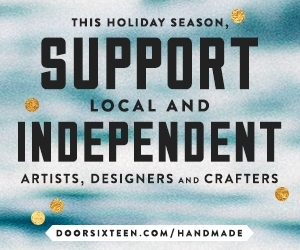 Please keep all links limited to the spirit of handmade goods from independently-run businesses. ✚ DISCOUNT CODE (if applicable): If you are running any kind of promotion (discount, free shipping, etc.) for the holidays, please include the details and discount code. Codes specific to Door Sixteen readers are welcome. ✚ You are welcome to share the above graphic on your blog, Instagram, Facebook, Twitter, Pinterest or elsewhere, but please do not alter it in any way. Links should point to doorsixteen.com/handmade, which will automatically redirect to this page. Using a redirect URL will prevent any links from becoming outdated in future years. ✚ If you would prefer to have a smaller graphic to display in your sidebar, here you go! Small Print: Door Sixteen/Anna Dorfman does not personally endorse any of the shops linked to the comments section of this post. Links have been tested for functionality and to ensure that the goods for sale are in keeping with the spirit of handmade goods from independently-run businesses, but beyond that no verification or endorsement is implied. All comments are moderated. Comments containing faulty URLs or which are not in compliance with stated guidelines will not be published. Eileen Fisher bedding (& a question). ✚ All natural & organic small-batch grooming and skincare. ✚ Use code “HOLIDAY16” for 35% off your entire purchase, now through Monday. ✚ Handmade + modern jewelry. ✚ Use code “HOLIDAY16” for 40% off your entire purchase, now through Monday. ✚ Cute and quirky illustrated paper goods. ✚ Coupon code YAY25 for 25% off your entire purchase, now through Monday 11/28/16. This is one of my favorites every year! Always looking forward to it. ✚ Screen printed greeting cards with vintage flair, including holiday. ✚ Vintage home decor. Persian rugs. I’m so grateful for people who support local craftsman! Thank you. 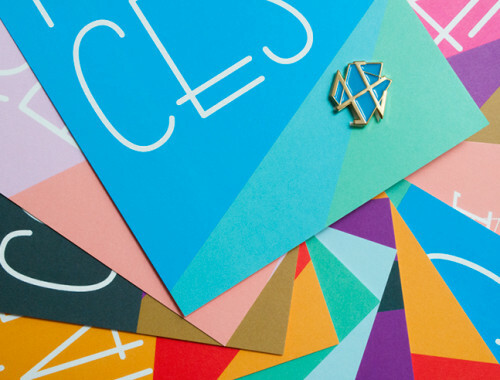 ✚ Handmade and owner-designed goods that are fun, useful and colorful! ✚ BF16 for 20% through 11/30/16! I always love to see who else is out there. Consider buying art for friends and family this season! ✚ Abstract fine art and affordable prints/accessories. 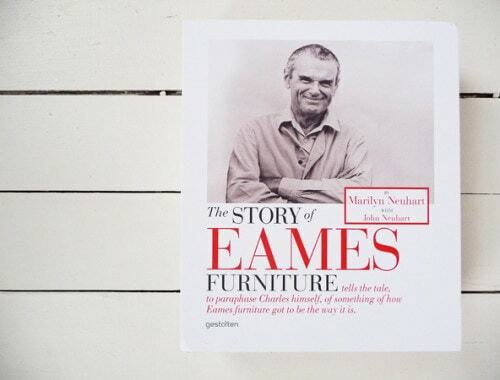 ✚ Special for D16 readers, DOOR1630 for 30% off through Monday! ✚ Use code FREESHIP for free shipping until the end of the year. ✚ Use code MERRY16 for 15% off, through Monday 11/28/16. ✚ Illustrated Women in History prints, zines and custom illustrations. Feminist & tattoo inspired patches, t-shirts and tote bags. ✚ Unique greeting cards, stationery, notepads and soft goods. ✚ Use code SHOPSMALL for 25% off through November 28. Thanks ever so much Anna!! ✚ Herb, vegetable and flower seed starting kits with harvest recipes and other unique gifts. ✚ Use code FreeShip for free shipping through December 1. ✚ Contemporary handmade gifts and home décor, all from independent designers and makers. ✚ 20% EVERYTHING with code JUNIPER20 through Monday, Nov.28. So good! Thank you for this awesome resource for the holidays!! ✚ use code GIVETHANKS for 20% off through Nov 28th and FREESHIP for free shipping until Dec 31st! Thanks for your help Anna! Happy Holidays! ✚ Sterling silver, gold & brass handmade jewelry. ✚ Bold jewelry made with steel and stones. ✚ 20% with code 20Sale through Monday, the 28th. ✚ Paper goods and home decor featuring modern calligraphy. ✚ Black Friday – Cyber Monday 20% off with code JOY. Thank you for putting this together, Anna! Thank you for doing this! I’ve been looking forward to it all month! ✚ hand made slipcast fine studio porcelain tableware and personal objects. Thank you so much for always supporting independent artists and makers, Anna! ✚ Beverly and 3rd Candle Co.
✚ Use code THANKS20 and enjoy 20% off until Monday. ✚ 25% off all orders! Use coupon code HOLIDAY at checkout. ✚ Handmade holiday ornaments and decor with a modern Scandinavian flair. ✚ handmade jewelry- necklaces, earrings, bracelets, rings, lots of stud earrings! ✚ 25% off + free shipping with code ‘goodkarma’. 10% of sales are donated to charity. ✚ Weird Beard Candle Co.
✚ Fun, gender neutral soy candles. We’ve been called ‘the Ben & Jerry’s of candles.’ Check us out! ✚ Typographic maps prints and photographs. ✚ We’re a small letterpress print shop and urban paper goods company in Los Angeles California. ✚ Our annual sales goes from Nov 25-Dec 6. 20% off storewide with code THXU16. ✚ Workshop specializing in hand made and hand dyed home goods and baby items. ✚ Wooden 2, 4 and 6-pack totes, made to carry the things you love: wine, beer, water, flowers and coffee. And some other fun stuff too! ✚ Leather goods with unique modern design and and artistic background. Handpainted options as well. ✚ I sell home and clothing goods, mostly of my own design. I design sweatshirts, sew cool minimalist baby clothes, design cushions, and I also carry the elusive Stendig Calendar in the UK. Awesome! Thank you so much, Anna! ✚ Print and digital magazine sharing the stories that don’t often get heard from everyday women. ✚ 15% off recurring subscriptions with code “GiftGiving”, or 50% off everything in the store through Monday with code “BLACKFRIDAY”. ✚ I design and make unique contemporary jewelry, largely from leather and polymer clay. ✚ 20% off today Saturday 11/26 for Small Business Saturday. Code: SHOWLOVE. Free shipping in USA until Christmas. Thanks so much Anna, glad to find you! Thank you Anna for offering this again! ✚ 10% off your entire purchase with code “holidaykickoff2016” and 10% donated to MBK Alliance and the People’s Emergency Center of Philadelphia from now until the end of the year! ✚ Cedar & Carbon sells fine art skull prints of the Great American Species, Geometric circle prints of National Parks, and hand drawn state ornaments. I am also a free lance illustrator who loves to draw and like to make infographics. I have with ties to National Geographic and World Wildlife Magazine. ✚ We mainly sell handmade soaps, but will occasionally offer handmade wood crafts, jewelry, and candles to name a few. Christmas gift sets will be available early December! ✚ We will be running various sales during December that will be announced as we get closer (follow @TheWoodenDahlia on Instagram or Twitter). Or, this weekend, you can use code SBS2016 to take $5 off a $15 order from our Etsy shop! ✚ Use code “HIGHSTREET” to receive 25% off all jewelry this weekend! ✚ Custom made Moon Calendars and illustrated posters. ✚ 20% off for Door Sixteen readers, for orders over $15, until December 31 2016. I love this and buy locally handmade gifts too. This year I’ll be literally doing the handmaking myself as funds are so low, but I’ll enjoy a good window shop through the links on here. ✚ handmade wire-bound journals for kids, including travel journals and new sibling journals. ✚ Hand-lettered artwork and original designs made into apparel, flair, and paper goods. ✚ Use code “DOOR16” for 20% off products until Christmas Day. ✚ Kimono-style robes for women. Velour and Linen/Cotton. Thanks so much for doing this Anna! ✚ White Owl Jewelry is an eclectic mix of modern and romantic bohemian influences, incorporating vintage and storied materials. Handcrafted in Metro Detroit. ✚ Use code DOORSIXTEEN for 16% off any order over $65 until December 10! Thank you so much for doing this, Anna! ✚ Use promo code: DOORSIXTEEN for 20% off your order when you purchase 2 or more pillow covers. Expires 12/31. Thanks for doing this Anna – love it! ✚ West Atlantic is handmade metal jewelry at the intersection of architectural and organic. Thanks for supporting small businesses! Thanks for putting this all together Anna! ✚ Brooklyn based design studio that focuses on handmade ceramic products for the home. ✚ Use promo code: DOORSIXTEEN and get 20% off your entire order! ✚ Original Abstract paintings and stationery out of a petite studio in Los Angeles. ✚ Use promo code: ARRIVEFREE for free shipping on all items. ✚ I’m a photographer, artist, writer and dog mom (but not always in that order). My photography is available as prints, framed and on canvas, on accessories like pillows, and lots more. ✚ Letterpress paper goods and vintage textile wares. Please visit and take a look! 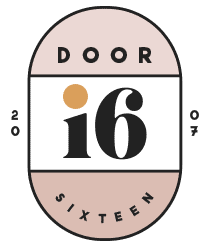 Thank you for this opportunity Door Sixteen! ✚ Artist made bags. Primary colors and muti-functional leather goods. ✚ Free domestic shipping until Jan 1! ✚ 20% OFF STOREWIDE CODE: BF2016 at checkout. Thank you!!! you are awesome! ✚ Benton Park Prints is an independent St. Louis print shop that creates modern graphic art for every room of your home. We offer familiar St. Louis themes along with a vast array of typography prints for the kitchen and bathroom, all of which can be customized. The shop has since expanded to include Kitchen, Bath and City Pints. St. Louis is a big inspiration for a lot of our art. We are always happy to do custom pieces as well. ✚ A fresh take on fragrance, blending pure botanical perfume with healing properties into each made to order bottle. ✚ banners, crocheted and knitted garlands + other items, notecards. Hi Anna, are you ever coming back? Miss you & your genius renos!